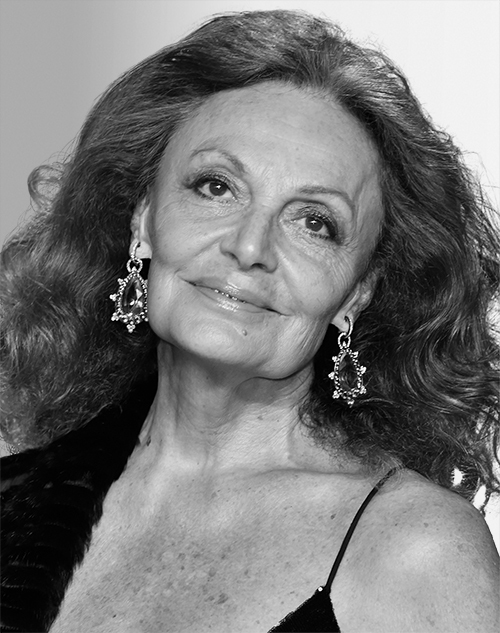 Diane von Furstenberg is a fashion designer and founder and chairman of the company that bears her name. In 1974, she created the iconic wrap dress, which became a symbol of power and independence for women all over the world and grew into a global brand. She is chairwoman of the CFDA and serves on the boards of Vital Voices, the Statue of Liberty–Ellis Island Foundation, the Shed, and the Academy Museum of Motion Pictures. In 2015, von Furstenberg was named one of “Time” magazine’s 100 Most Influential People. In 2018, she received the CFDA Swarovski Award for Positive Change.